People are just going nuts over string blocks right now. I have even been working on getting a whole quilt together. I should have been keeping up on my scraps instead of just letting them grow. I have two and a half tubs of them that need to be broke down. 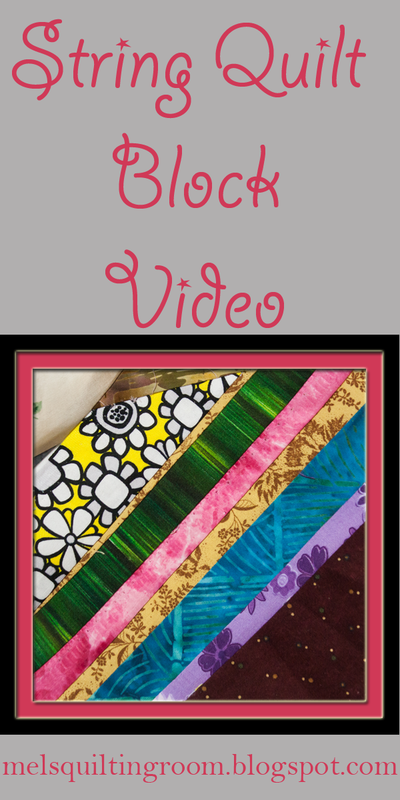 That just means I have lots of fabric ready for my string quilt. I'll have to make time to break them down into the right size of strips. All you need to make these blocks is a pile of 1 1/2" strips and thin paper cut into 5" squares. I use magazines from work. It's free and it keeps them from going to the trash. Phone books are another great source of paper. Don't forget to set your sewing machine to 1.5 mm stitch length. 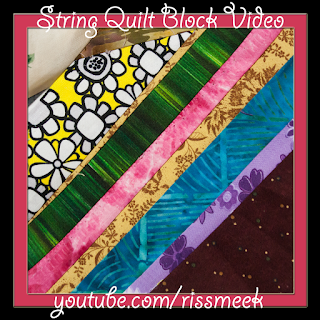 If you make some of these blocks don't forget to share them with me on Fiber Tuesday. I love to see what you are working on. If you aren't sure how to link up then join the Facebook group and post it there.